Shikatani Lacroix has a longstanding relationship with Tetley Canada, having worked with the brand for 25 years on a variety of projects. 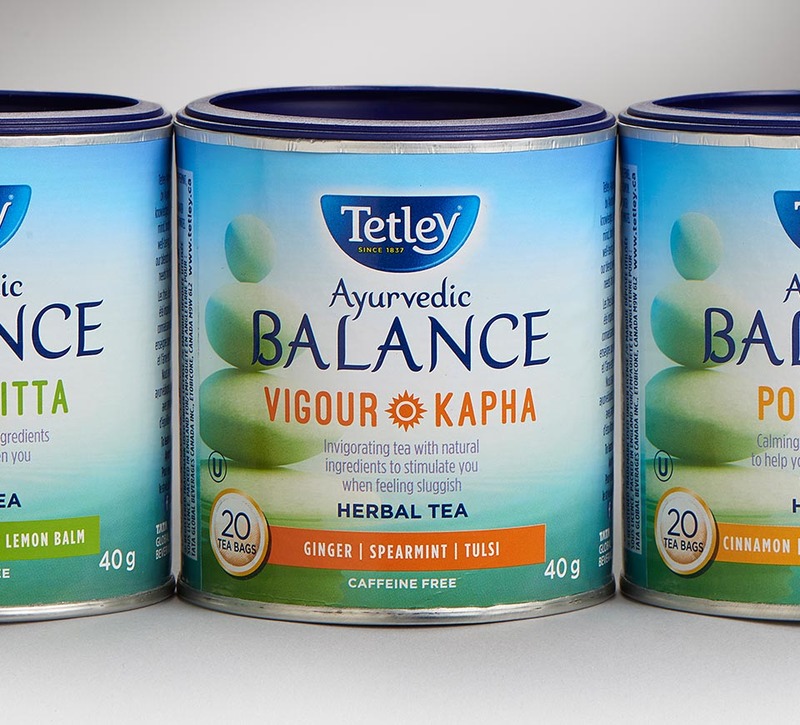 Shikatani Lacroix was asked to create the package design for its new Ayurvedic Balance tea. Tetley, a wholly owned subsidiary of Tata Global Beverages, is the world’s second largest manufacturer and distributor of tea. 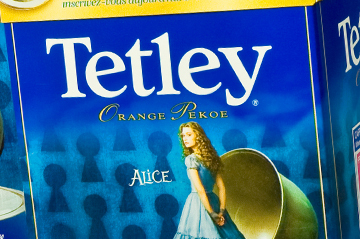 With its origins dating back to 1837, the Tetley brand is the second largest tea brand globally and is #1 in Canada. 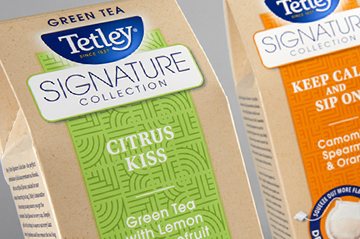 Tetley distributes its branded tea bags to over 40 countries and has more than 45 flavors of tea in Canada. 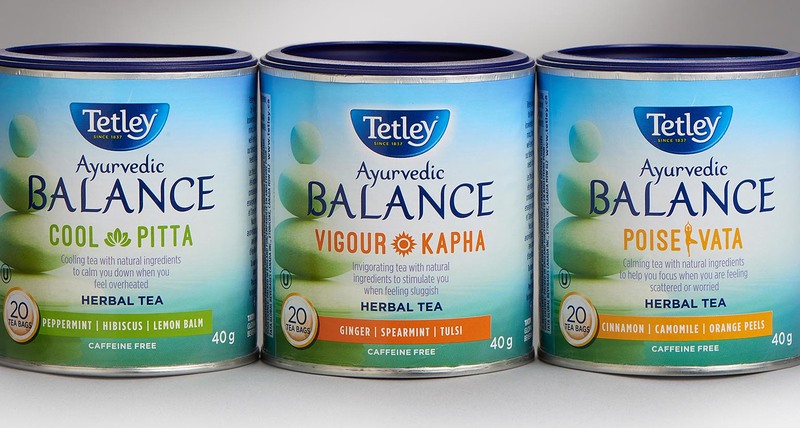 In 2016, Tetley approached Shikatani Lacroix to design packaging for its new product line: Ayurvedic Balance teas. The principles of Ayurveda are relevant, appealing and in line with the growing health and wellness trend. 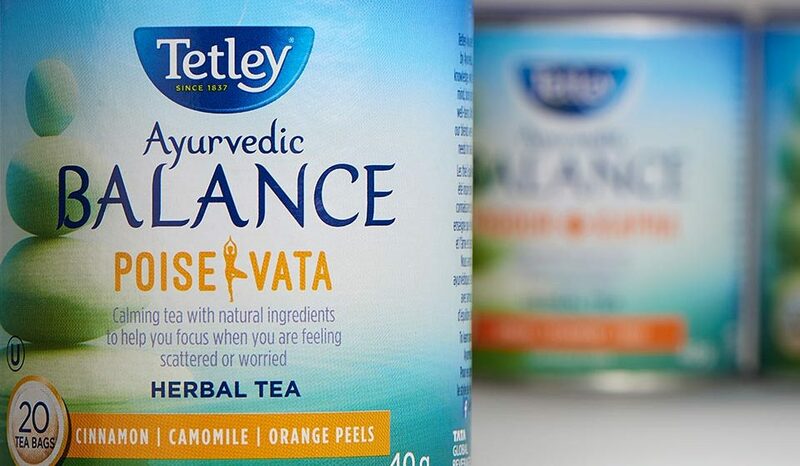 With the goal of driving growth in the specialty tea segment, specifically the herbal category, this new tea needed to provide Tetley with a clear, differentiated position in the marketplace. 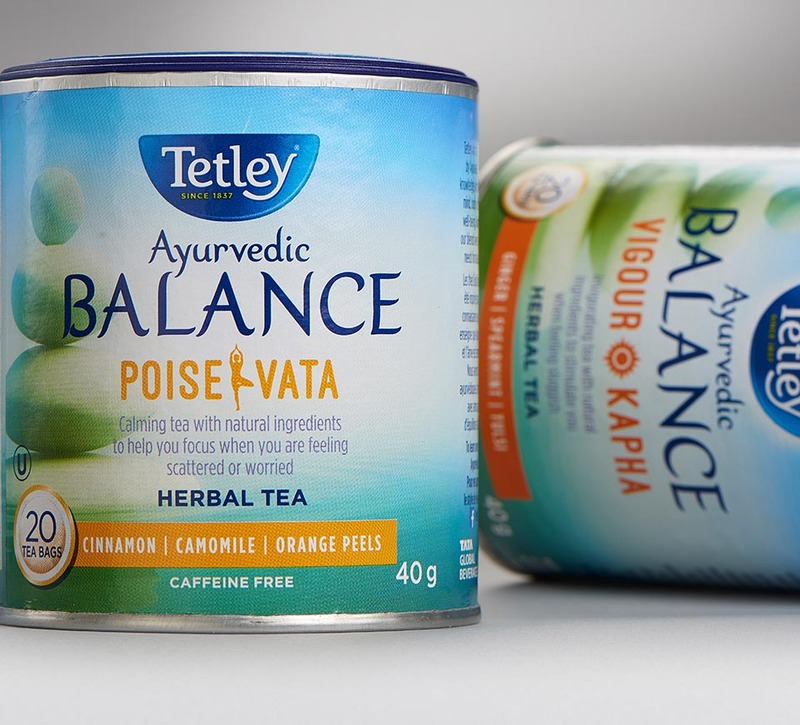 Shikatani Lacroix was challenged with ensuring the package design effectively communicated the complexity of Ayurveda to the average consumer. 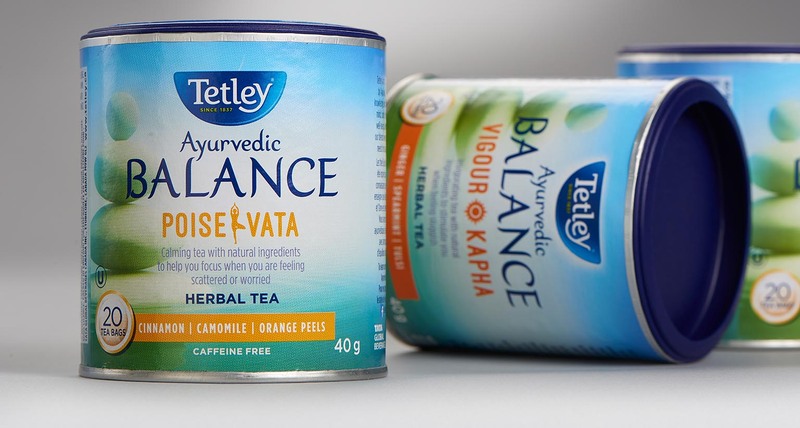 Specialty products, like Ayurveda, are typically found in holistic, health stores, however, Tetley is bringing this specialty tea to the mainstream market. 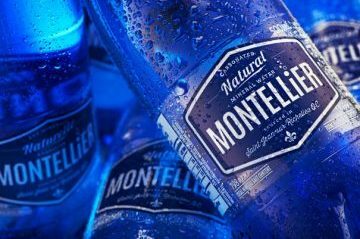 Shikatani Lacroix also had to make sure the package design remained clean and impactful while integrating the large amount of copy that explained the product. 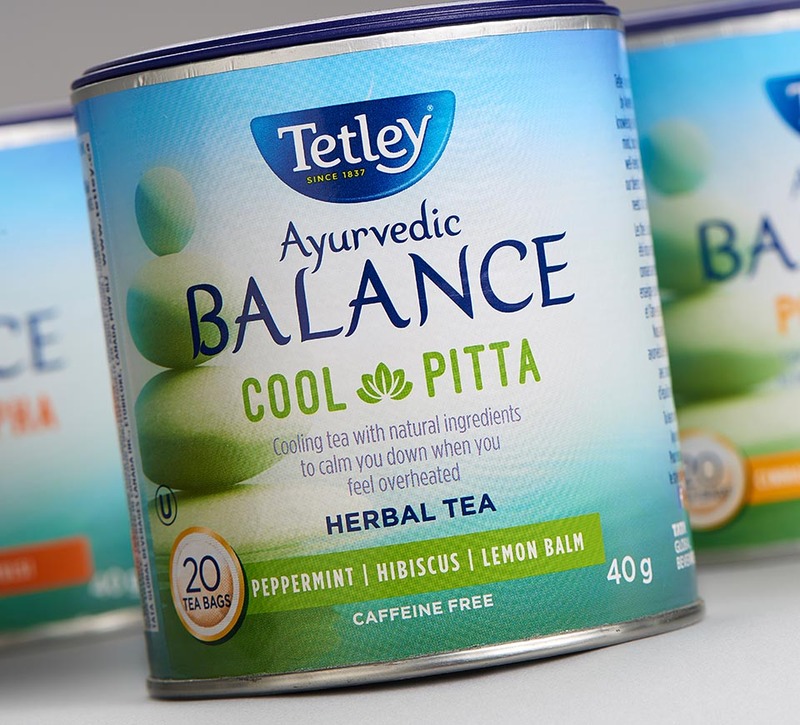 Shikatani Lacroix developed designs for Tetley’s lineup of three Ayurvedic tea flavors: Cool/Pitta, Vigour/Kapha and Poise/Vata. Ayurveda is a 5,000-year-old system of natural healing that has its origins in the Vedic culture of India. Ayurveda integrates Doshas, the energies that make up every individual. Each Dosha performs different physiological functions in the body: movement, transformation and structure. This is known in Sanskrit as Vata (air and space), Pitta (fire and water) and Kapha (earth and water). The three Ayurvedic teas were created to help balance these three Doshas when they are appearing in excess. The package design concepts helped convey the the Ayurveda notion that balance is essential for well-being. 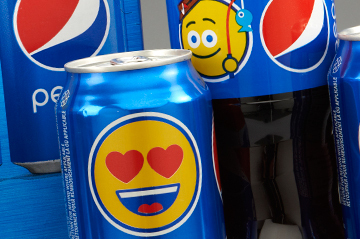 In research, the key ideas that resonated with consumers were balance and ancient wisdom. Shikatani Lacroix designed options for two themes: balance and ancient. The balance concept included mainstream, contemporary design that creatively demonstrating the idea of balance. 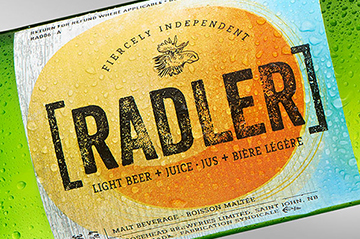 Whereas, the ancient design concepts included rich and vibrant colors and stronger use of Sanskrit font. The final design of the Ayurveda canisters focused on the balance concept with ancient elements. The canisters embody the elements of balance with a symmetrical stack of rocks reminding consumers that health is the balanced and dynamic integration between our environment, body, mind and spirit. The canisters have a cool color palette of soothing blues and greens, with a flavor color band and unique Dosha identifier on each canister. 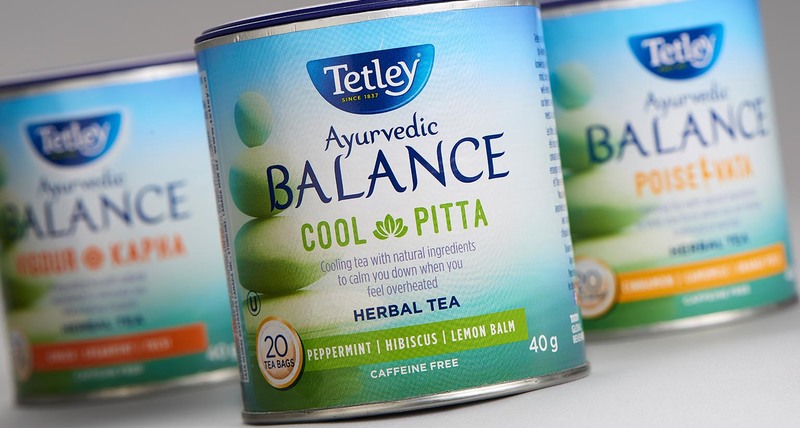 Shikatani Lacroix successfully met the challenge of designing a new line of herbal teas for Tetley that maintained equity for the brand while effectively communicating the spiritual and holistic well-being benefits of Ayurvedic Balance teas.